This lovely diamond and platinum ring was designed by Alan and made by our jeweller in 2015. 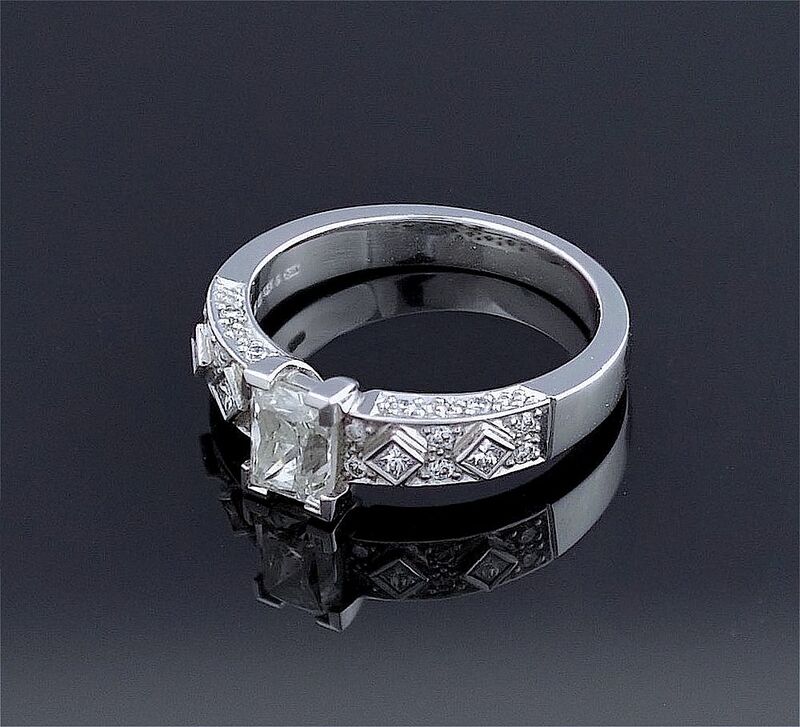 In the centre of the ring is a rectangular princess cut diamond set in four claws. 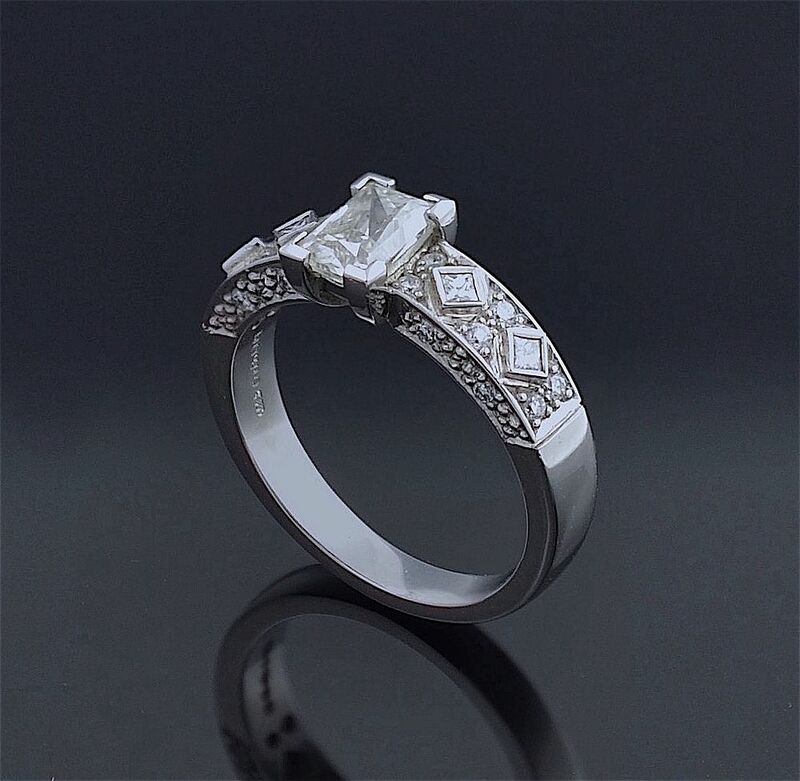 Each shoulder is set with two square Princess cut diamonds each set at an angle in a raised rubover box setting. There are a further 6 small round diamonds set into each shoulder, three in the top of the shoulder and three set in the bottom each set opposite the top one to form in effect three columns, one column next to the centre diamond, the second column between the two Princess cut diamonds and the third column set at the bottom of the shoulder at the junction with the platinum shank. There are a total of 8 round diamonds set in the sides of the shoulders. The shank is hallmarked by the London Assay Office for platinum and 2015 and bears the sponsor's mark "A&SP" for Alan & Sue Poultney.